I hope everyone is having a great Memorial Day weekend! We're having a lot of rain and storms here in Bristol lately so I've got my fingers crossed that we'll be able to spend some time out at the lake tomorrow! Speaking of storms, Brent needed some new tennis shoes so we went to Sevierville and Pigeon Forge yesterday. He was successful and ready to go after our first stop in Nike. I, of course, wasn't and ended up with workout clothes from Reebok (surprisingly cute things in there) and another Alex and Ani bracelet (the store was 65% off!). Anywho, we got lucky and it didn't rain a drop until it POURED and stormed so hard the whole hour and a half home. With lots of praying and Brent's driving skills, we made it, but it was so stressful! 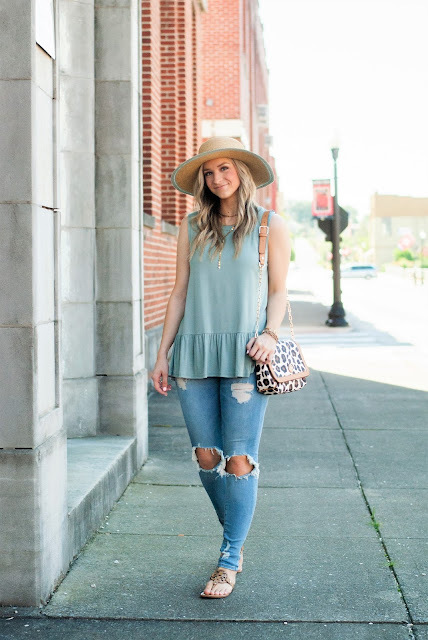 I'm loving all the cute frilly things lately, especially peplum tops. 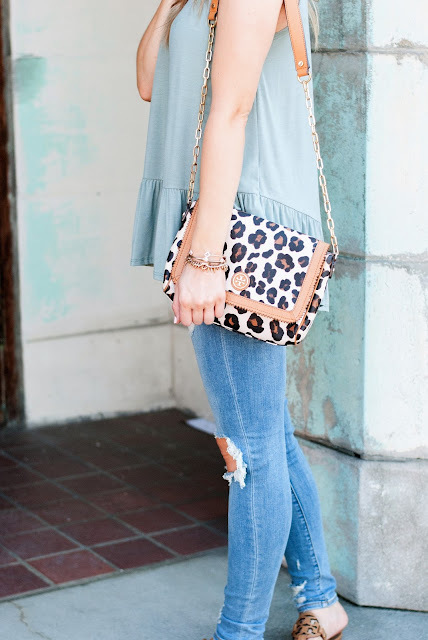 I like having a lot of comfy and easy to throw on basics. 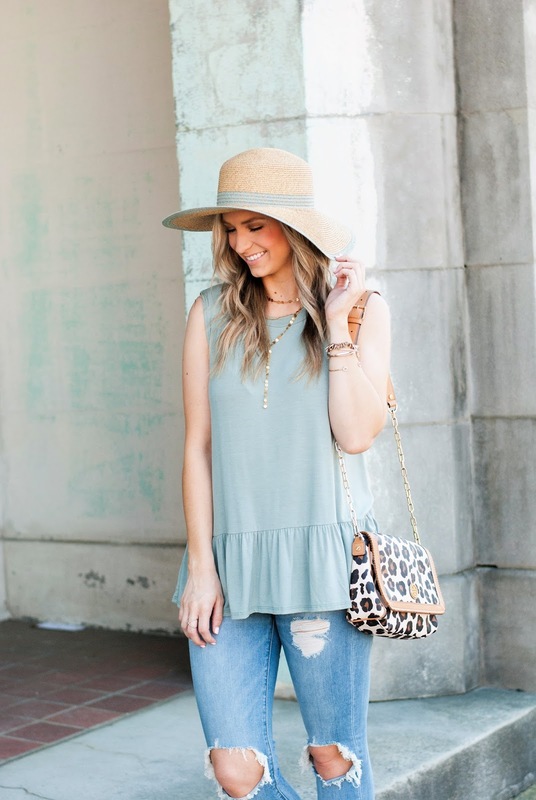 This tank fits the bill for that and dresses it up a little with the ruffled bottom. So cute and soooo soft! It'll also be great to layer with in the cooler weather. I got this one at Studio 6 but I've also linked some other super cute ones that I've got my eye on!